The wayfinding signage and graphics scheme that could uniquely belong to this space by virtue of it identifying so strongly with it. Corresponding to the physical interface of each floor, five Chinese traditional patterns to represent the theme of auspicious harmony and retain a sense of building identity. Details view of the doorplate. Windmill Pattern in the fourth floor representing the rich resources, wealth and happiness. The second pattern is Step By Step Pattern, which is the regular geometric pattern that promoting to the best wishes toward to a better future. 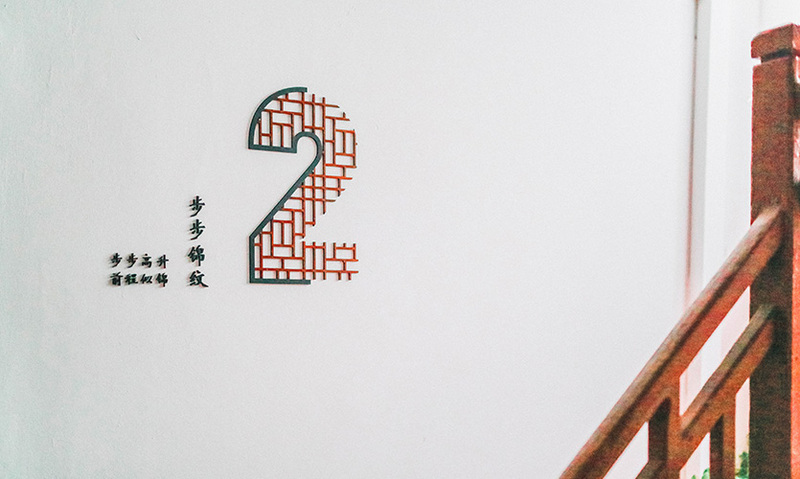 The No.26 building logo is displayed on the information wall using the five Chinese traditional patterns made by magnets. The pattern frame situated the building rules along with green plants wall decoration in order to weave people and places. Overview of the building entrance. The project was completed within the environmental graphic course for second-year students and was also part of Open Your Space 2017, which is an ongoing research and design initiative. 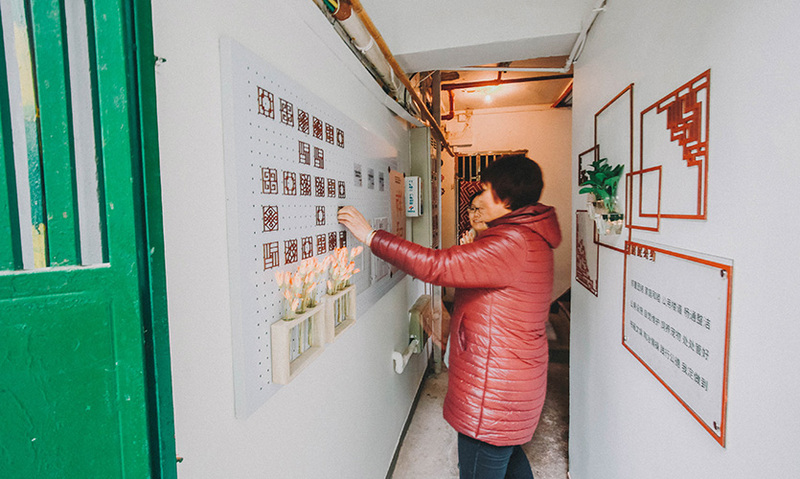 It draws on the relationship between design solution and social innovation ideas in Chinese urban context, and explores how design intervention collectively shapes the public realm to maximize shared value in the built environment. Siping community includes one of Shanghai's first workers villages, called Anshan village. Built in the 1950s, it was one of the largest villages in Shanghai at that time. This residential building, built in the 1960s, is a typical Chinese five-story building that houses 20 families and has red wood stairs. The building had no identity among a thousand buildings in the community, nor a wayfinding system. The goal was to give identity to the residential building and contribute to activating the space beyond merely function. 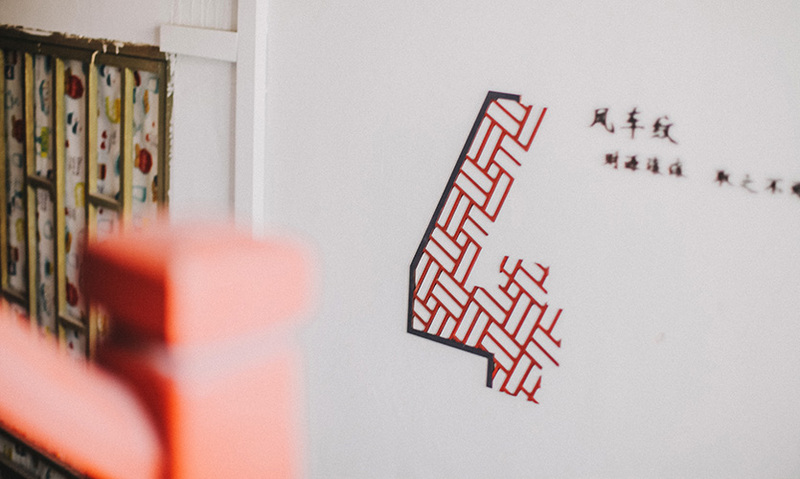 Inspired by the unique wood and red stairs of the building, the student team from Tongji University developed a wayfinding signage and graphics scheme that would belong uniquely to this space by virtue of identifying so strongly with it. 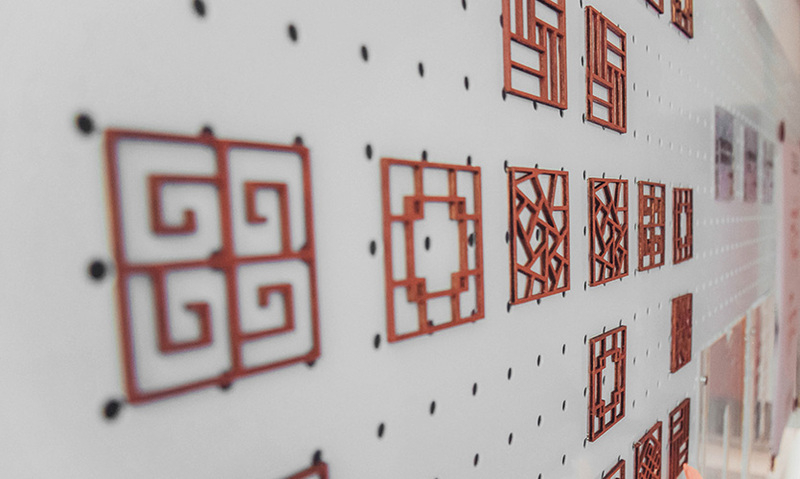 Corresponding to the physical interface of each floor, the floor signage and doorplate have been approached with traditional Chinese patterns to represent the theme of auspicious harmony: back pattern, step-by-step pattern, long pattern, windmill pattern and ice crack pattern. 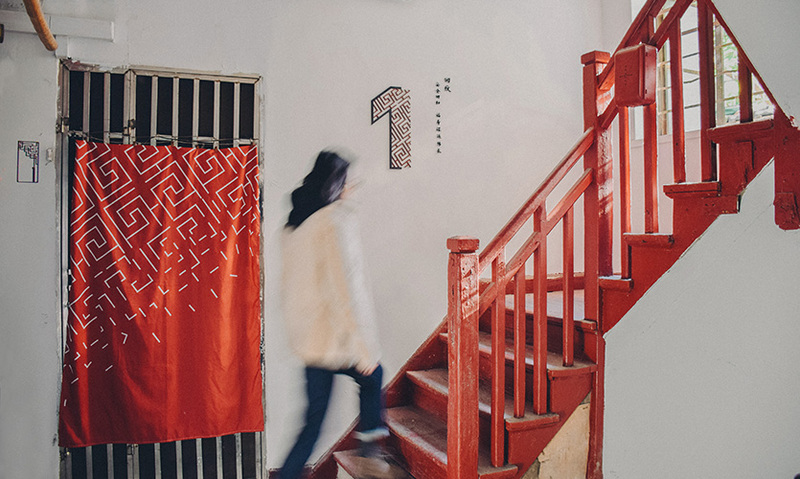 The pattern on the first floor is back pattern, inspired by the view when entering the building and looking up, which represents safe return, good fortune and longevity. The second floor’s pattern is step-by-step pattern, which is a regular geometric pattern promoting best wishes toward a better future. Implementation of the long pattern, on the third floor, expresses blessings and health. On the fourth floor, the use of windmill pattern represents rich resources, wealth and happiness. The top floor’s ice crack pattern deployment, characterized by ice and snow melting, signifies the approach of spring and good wishes to come. The floor signage and doorplates contain key features of the stairs and create a seamless journey for residents and visitors stepping onto the floor. 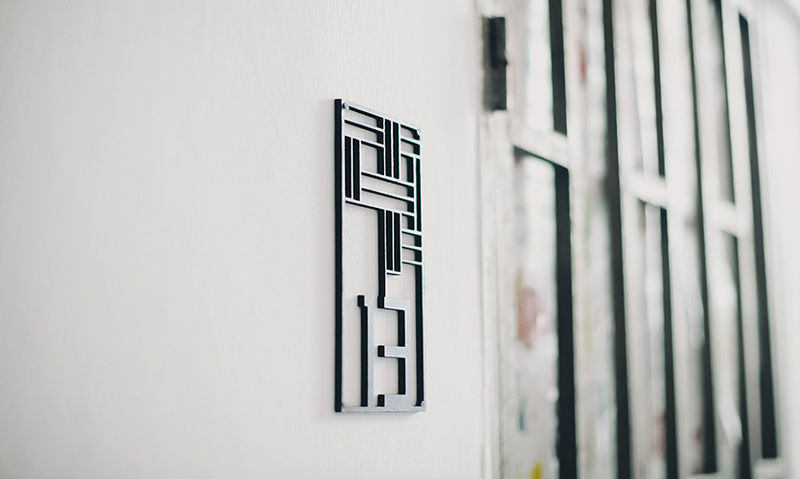 Branding and level identification signage was created out of Chinese traditional patterns and the narratives that each pattern symbolizes. 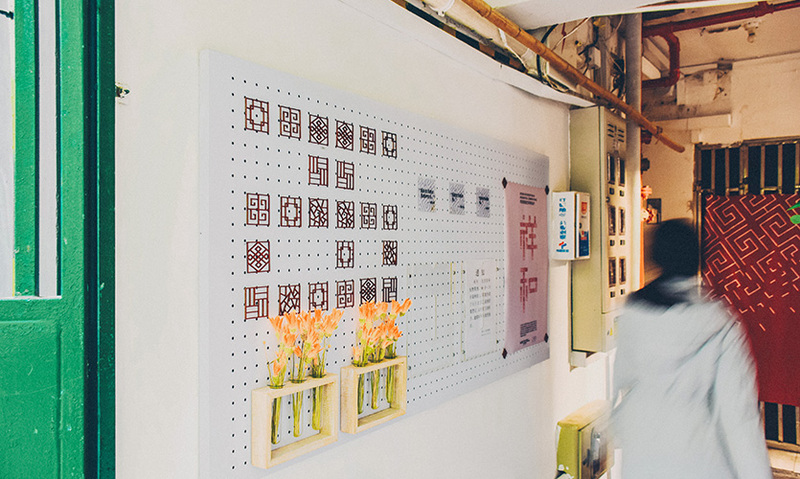 On an information wall, pattern magnets displays the building logo and framed building rules along with green plants and wall decorations, weaving people and place together. The team developed a simple wayfinding system with pattern language for key destination signage, resulting in an understated and elegant spatial experience to harmonize different floors and spaces while allowing each space to retain a sense of building identity. The project included a co-creation workshop with local residents during the research phase, helping boost the chances of engagement by pulling them into the process. 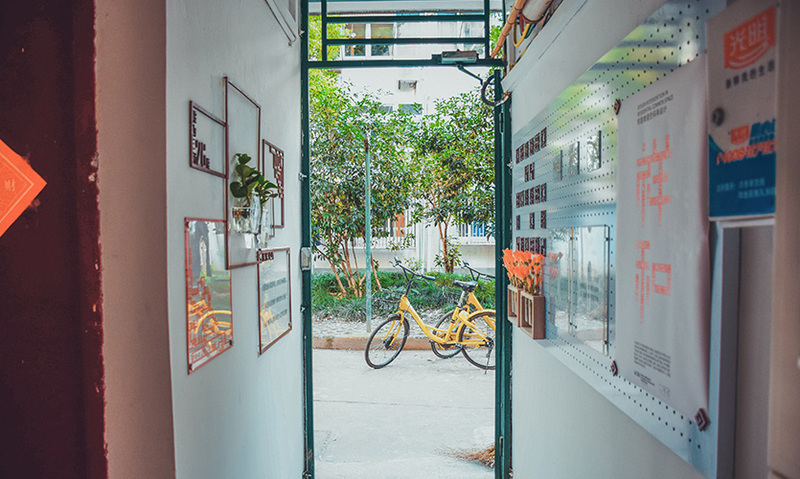 This student project by Tongji University achieved a positive impact and feedback from residents as well as the local community. Couriers and delivery people can easily find each family as the building identity becomes stronger and more recognizable. "This represents the power and ability that designers have to enhance everyday experiences for EVERYONE. Simple, inexpensive and highly thoughtful gestures activate an otherwise forgotten space. Beautiful, extremely simple and with the power to both engage and inspire a community." 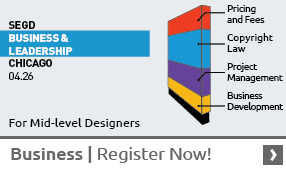 "Spot-on, community-first design. We need more of this in the world! Bravo to the professor for this assignment. We applaud the design for clarity, beautiful composition and excellence of execution." "I enjoy the project assignment almost as much as the solution. What a worthwhile project."